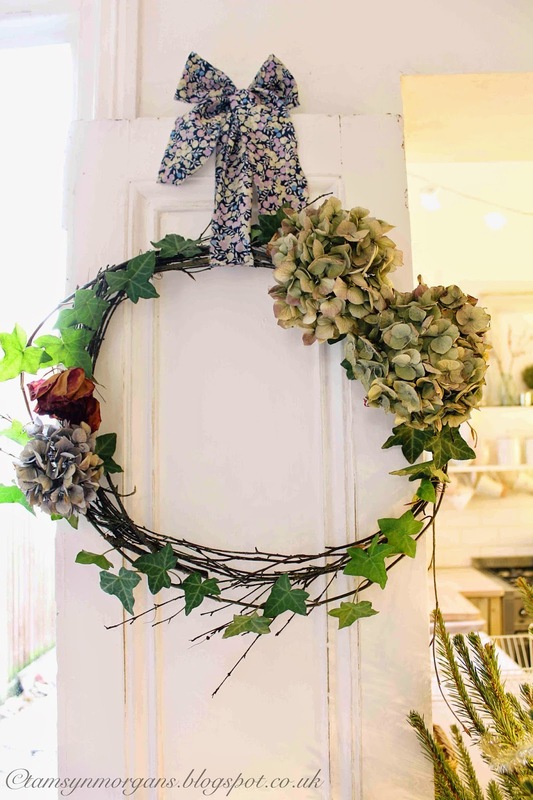 There’s nothing like a pretty rustic wreath at Christmas to adorn walls, frames and mirrors, and they are so easy to make. I went foraging for twigs and greenery in the woods near my house, and with the help of some secateurs and florists wire, I made a basic small hoop with some bendy twigs. I then added some of my dried hydrangea heads from the garden, some ivy and a dried rose. I love the Liberty print ribbon, and I may thread some string fairy lights through the wreath for added sparkle! 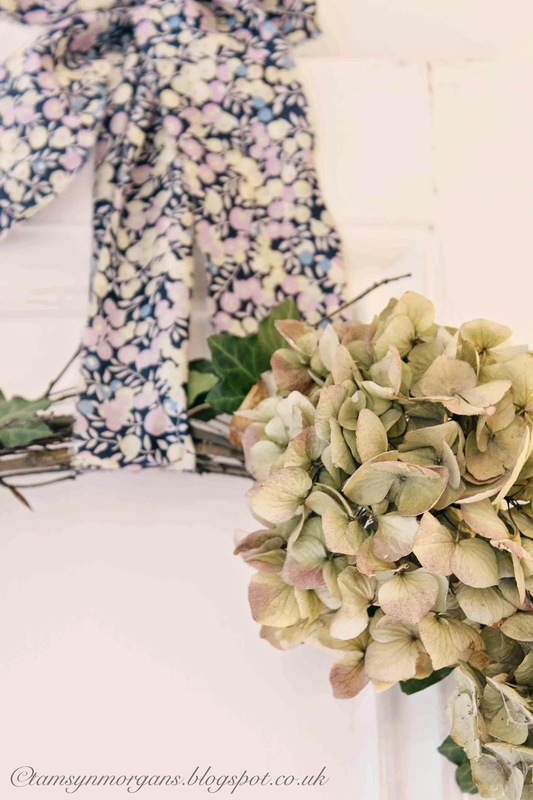 If you fancy some pre Chritmas crafting, you can see the dried hydrangea wreath tutorial I did last year for Katy at Apartment Apothecary here.